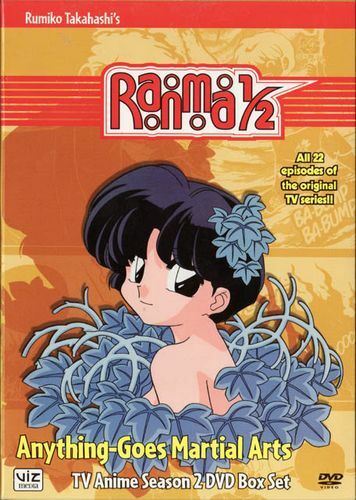 The follow-up series to "Ranma 1/2," this introduces new characters, new fighting moves, and has lots of martial-arts action. 2. Close Call! The Dance of Death... On Ice! 5. You Really Do Hate Cats! 6. This Ol' Gal's the Leader of the Amazon Tribe! 10. Danger at the Tendo Dojo! 13. The Abduction of Akane! 15. Enter Happosai, the Lustful Lecher!